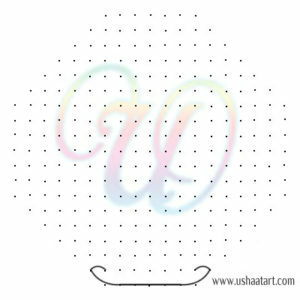 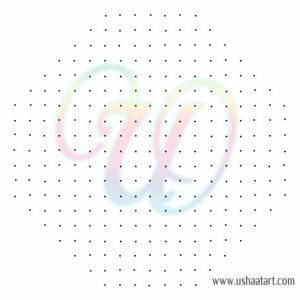 Put 19 dots 7 times, put dots by leaving 1 dot at both ends, stop at 7 dots. Draw lotus as shown below. 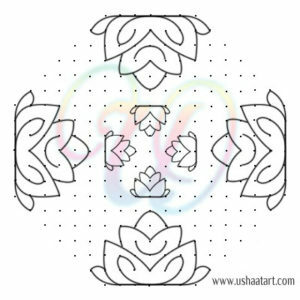 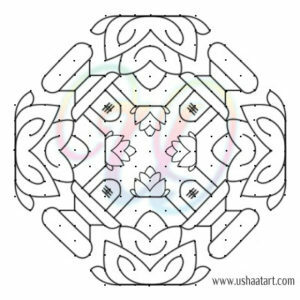 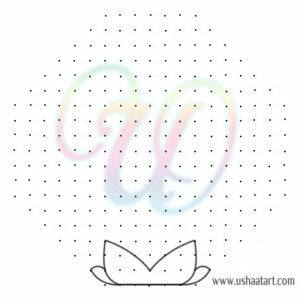 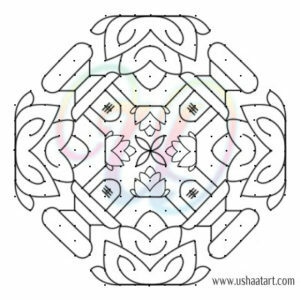 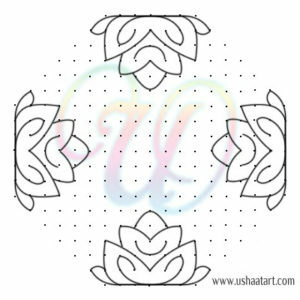 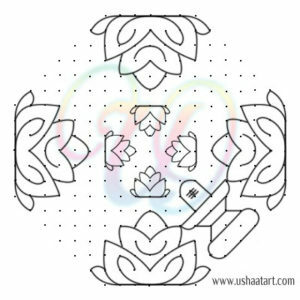 Similarly draw lotus flowers at four directions. 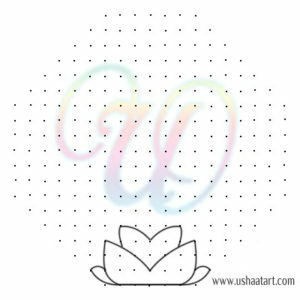 Draw similar small lotus flowers. 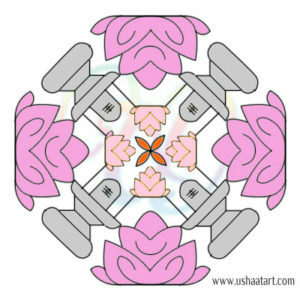 Draw Shiva Lingam between the flowers. 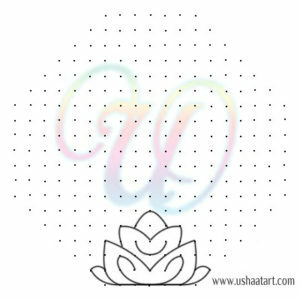 Connect Shiva Lingams with small flowers.